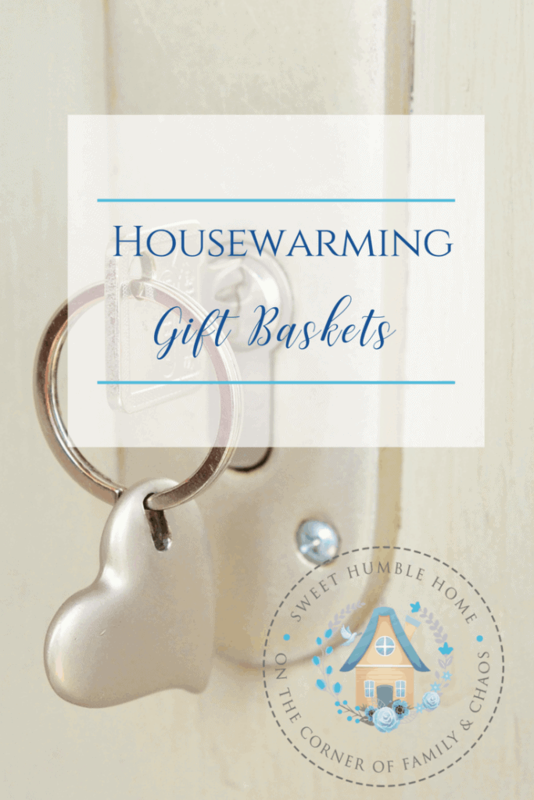 Creating a Housewarming Gift Basket for a friend is a special way to celebrate their new home. I’m all about celebrating milestones, and helping a friend to embrace their new space is one of my favorite celebrations. A new home is a BIG deal. Creating a thoughtful Housewarming Gift Basket, which is specific to the tastes of your friend makes it even more special. Are they downsizing or moving to a larger space? Is your friend a first-time home buyer? Did they move to a new town? These first questions will help you to determine a direction. If they are downsizing, you may want to consider a “less is more” approach. They are downsizing for a reason, whatever that reason is. 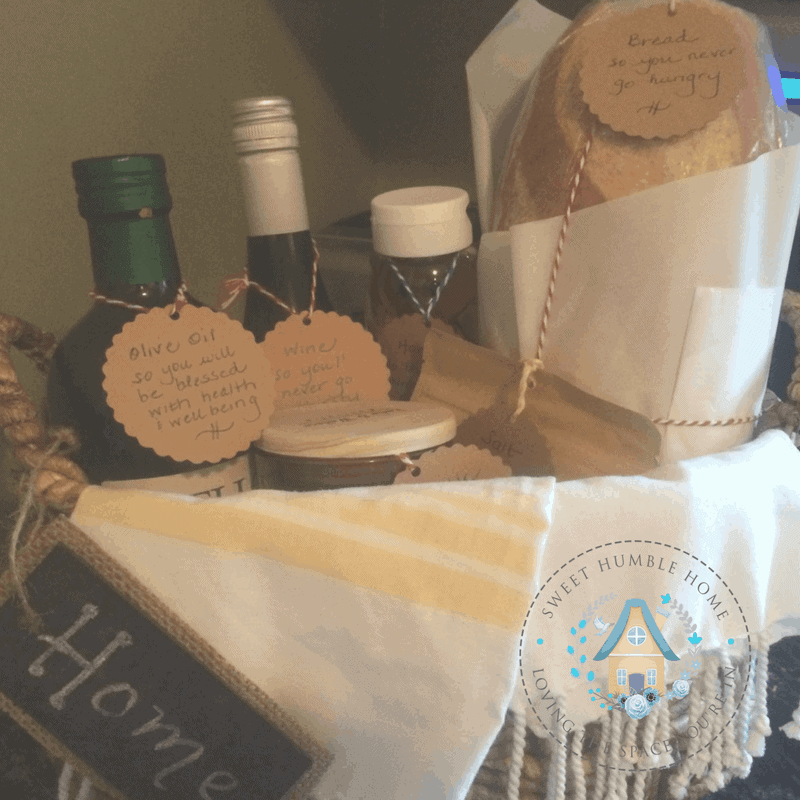 Perhaps a good idea would be a traditional gift basket with consumables, and perhaps a gift certificate for a nice dinner out to help them relax following a move. Perhaps your friend has moved into a larger home to accommodate a growing family, or have more space for the family they do have. If this is the case I might recommend a family board game, a deck of cards, some popcorn kernels in a decorated mason jar, a nice bowl for the popcorn, and a couple of movies. Are they a first time home-buyer? If so, they may be in need of a lot of the basics. Fill a utensil crock with wooden spoons, a whisk, a spatula and a rolling pin. Wrap it up with a couple of nice kitchen towels and tie it with a raffia bow. Include three or four recipe cards with your favorite recipes, or point them to some recipes that are easy to prepare. You can find some of my favorites here and here. I’m sure they’ll be grateful! Did a move to a new town happen with their purchase? If so you may want to do a little research for them to help them out in their new area. Put together a basket that includes a binder of area take out menus, gift certificates to an area attraction, and a framed photo of a special in-town space. Think about the special items your friend surrounds themselves with. What was your friend hoping for in their new space? Is there a part of the home that he or she is most excited about? Everyone is unique, and it is what makes each of us so special. What does your friend surround themselves with? Do they love items that remind them about the beach? Do they have a collection of warm, fuzzy blankets? Perhaps they enjoy nice tea or candles. What do you remember from their last home that seemed to be their “signature”? If they love something, the gifting them something that speaks their signature, will be a welcome treasure. Purchase an extra fluffy blanket, or special candle. Each time they use the item they’ll think of your and how thoughtful you were. Was your friend hoping for a quieter space? Were they hoping for outdoor space to garden? Were they hoping to create a place to entertain? Use the answers to these questions to guide what you might put together for them. Hoping for quiet? An essential oil diffuser like this with some essential oils along with a cd filled with calming spa music might do the trick. A new gardener? How about a book about perennials, some garden tools, and seed packets placed in a terra-cotta pot? An entertainer? How about a beautiful bottle of wine and a new set of glasses? For many people, buying a home comes down to that one spot that speaks to them. What was it? Was it the kitchen? An office they never had the space for? A workshop? How about an herb planter for the kitchen like this IKEA one? Some desk supplies like a pencil holder, desk calendar or nice lamp? If they have a new workshop a nice idea might be to get them set up with a few basic tools and a gift card placed in a small toolbox to get them started? The ideas are endless, but in the end, if all else fails – or if you just don’t have the time or budget to get too creative, go traditional. We were once given a housewarming gift that contained simple, useful, edible items. What made it so special, however; were the tags that explained the meaning behind each item. For example, a loaf of bread with a handwritten tag stating “So you never go hungry”. I have researched this a bit online, and found that it’s a traditional housewarming gift that goes back centuries. You can read more about that here. The last time we had friends move into a new home, I made a similar basket. They loved it. “It’s the thought that counts”. Remember what mom always taught you. It’s true. Think about what your friend needs, what they love, and if they are ready for guests. Perhaps having them over for a dinner party might take off some of the stress of the big move – and you can present them with your basket when they arrive. 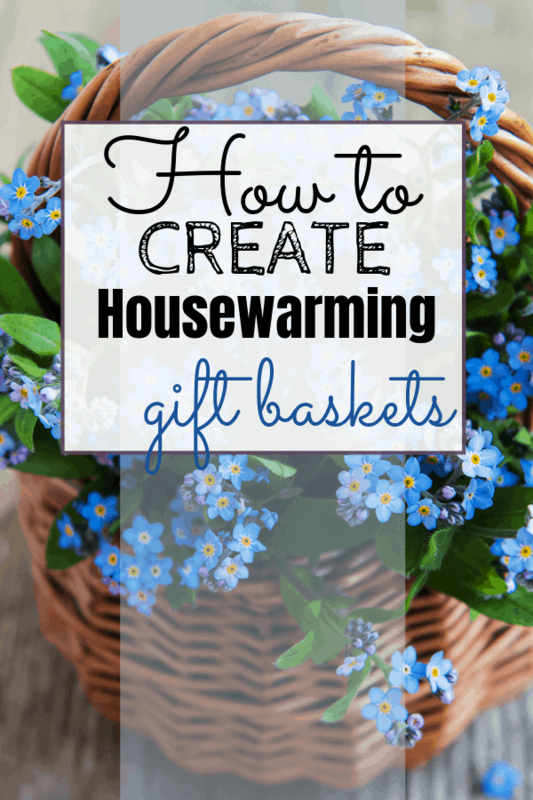 I’d love to hear what ideas you have for housewarming gifts!